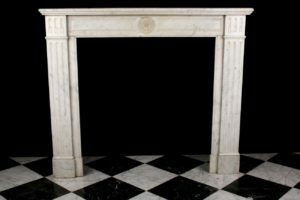 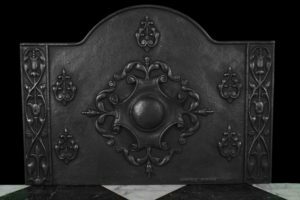 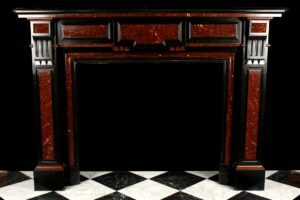 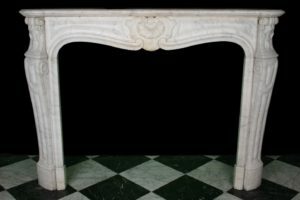 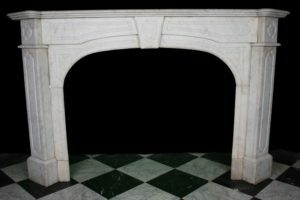 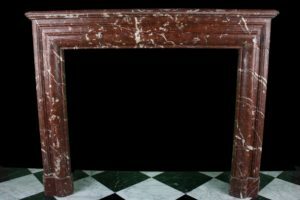 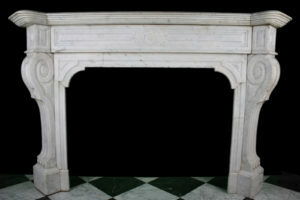 An Antique, late Victorian Carrara marble fire surround. 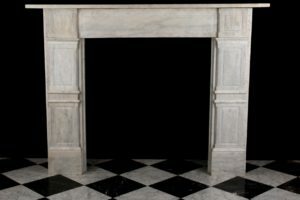 With panelled frieze flanked by panelled capitals and jambs. 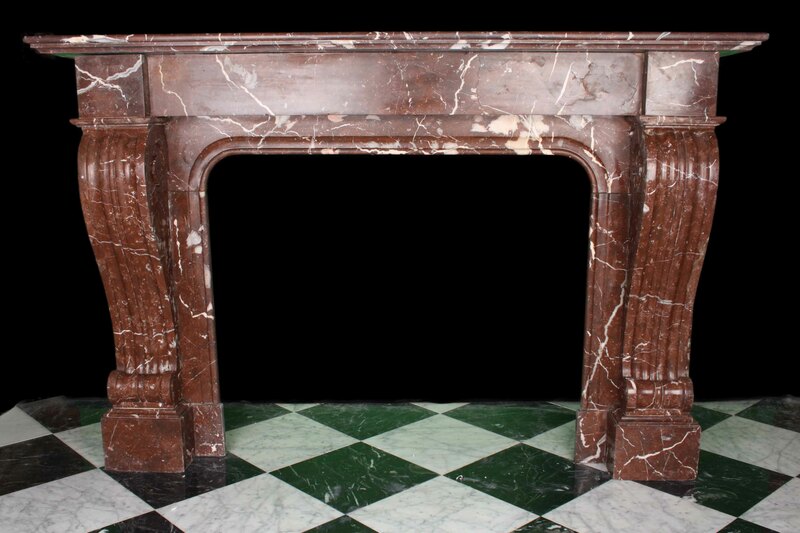 English late 19th Century. 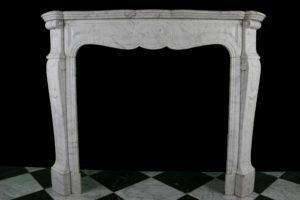 A Louis XV White Carrara Chimneypiece with decorative shells in the centre and sides, French 19th century.